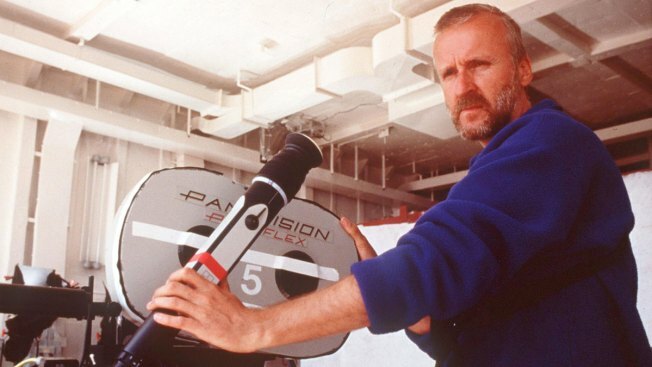 US Director James Cameron stands on the set of the movie "Titanic" which was nominated for a record-tying 14 Academy Awards 10 February in Hollywood. "Titantic" won 11 Oscars, including Best Picture, Best Director and tied the 1959 movie "Ben Hur" for winning the most Oscars of any movie. Filmmaker James Cameron and Titanic discoverer Robert Ballard are backing a bid by a group of British museums to acquire a collection of 5,500 artifacts from the sunken vessel.